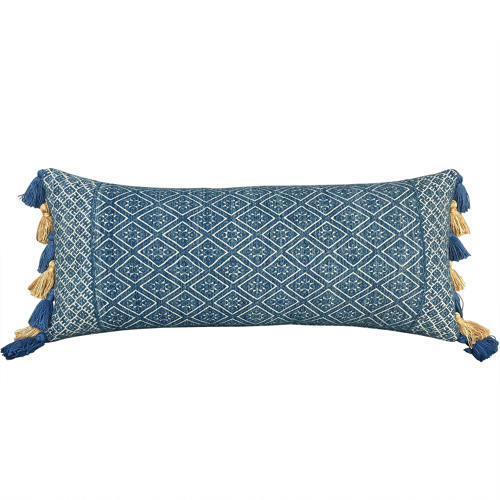 This pretty cushions is made from a vintage blue Zhuang wedding blanket with blue and yellow bamboo yarn tassels at the sides. The backs are a Buyi minority handwoven textile in a geometric pattern, overdyed indigo. There is a zip fastener and feather pad. There is also a cushion with pink and blue tassels listed separately.